What would happen if teachers could bring their out-of-school passion into their classrooms? We launched Passion to Teach with a small pilot cohort of teachers during the 2018-19 school year. Over the course of the year, they reflected on what brings them joy outside of teaching, made plans to bring that to their students in a rigorous, meaningful, and fun way, and worked throughout the year on building and refining curriculum and offering new and varied ways to learn together with their students. What we learned reinforced our hopes: this type of work is invigorating for teachers and students. When teachers are given the tools to “dream big,” they produce amazing projects that are both joyful and full of learning for students. Teachers relish the chance to form connections with colleagues from different schools who can both push their thinking and support their vision by bringing new perspectives and offering actionable feedback. Teachers also need time and space to plan, reflect, and take advantage of community-based resources across Boston that will enhance learning. Does this sound interesting? Read on to learn more about the 2018-19 pilot of Passion to Teach. “The Passion to Teach experience has been quite impactful on my teaching this year, specifically in my Social Studies and Science teaching. Not only did the targeted planning work help me develop curriculum and get ready for the year, but I have seen how the Passion Project content has excited and engaged students throughout the year. Growing plants in the tower garden and going to the cooking trips have been two of the most exciting learning activities of the year. Cohort 1 went on a kayaking excursion in Boston Harbor, a “spark experience” that became a touchpoint in conversations about curriculum planning throughout the year. Mr. Forman’s fifth graders are growing their own food as part of their learning about where food comes from. Ms. Molkentine’s students built a food pantry in their school as part of their learning about hunger and about helping those in need. Second graders got 14 new books for their classroom library plus new journals to record their thinking as they gain a more nuanced understanding of how to build a supportive, kind community within and beyond the classroom. Students build confidence through fitness classes, book discussions, and learning about ways to support emotional well-being. 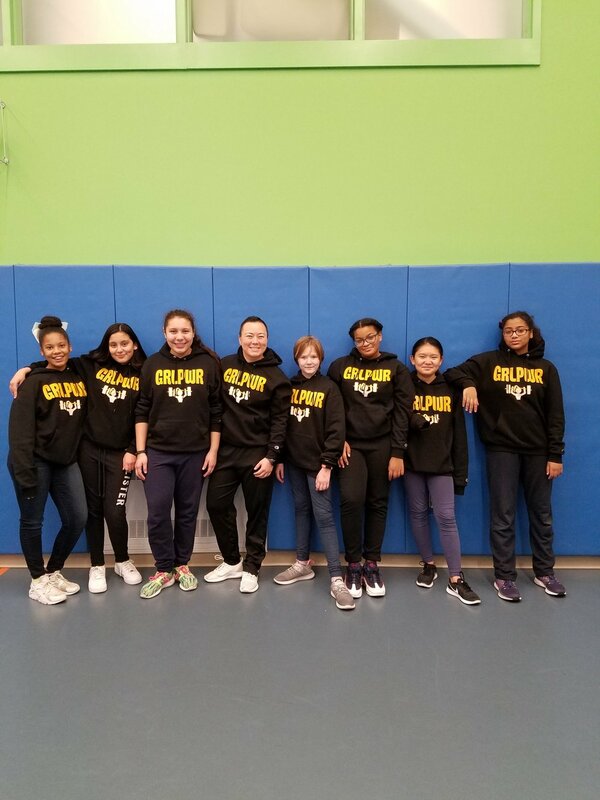 Students in Ms. Powell’s GRL PWR after school group build friendships and confidence as they begin to navigate middle school. Applications for the 2019-20 school year are now closed.